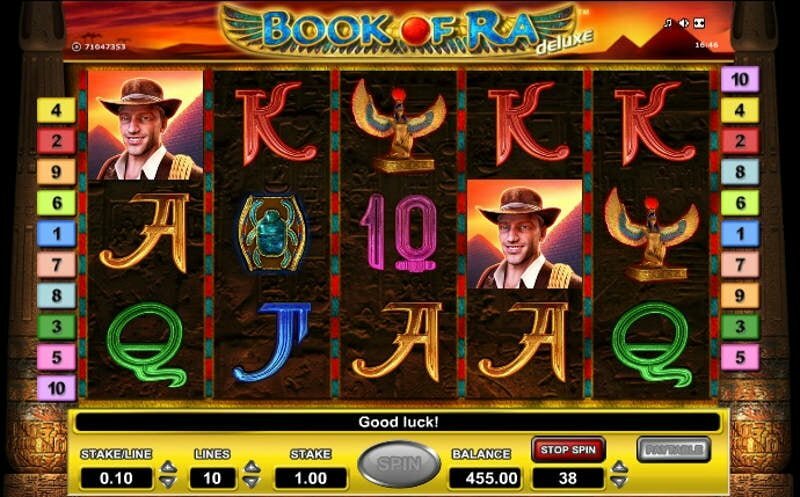 Powered by Novomatic software, Book of Ra Deluxe is a 10 payline, 5 reel video slots machine. You can wager up to 200 lines or 2,000 coins per bet. It has an ancient Egyptian theme which allows you to uncover the lost and buried treasures of the Pharaohs. 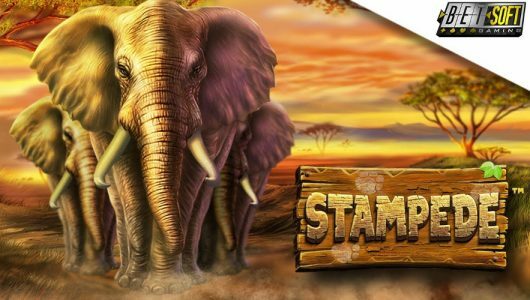 Since Novomatic is practically a household name in Germany this slot game is very popular among German and UK players. In my opinion the Book of Ra Deluxe is an improved version of its predecessor the Book of Ra. Instead of 9 paylines it now offers 10 paylines with improved in-play bonus rounds, scatters, graphics and animations. This video slots offers an average payout of 95.5% to the player and a maximum jackpot payout of 12,800, 000 coins. Come to think of it this is really not bad especially for a non-progressive game. 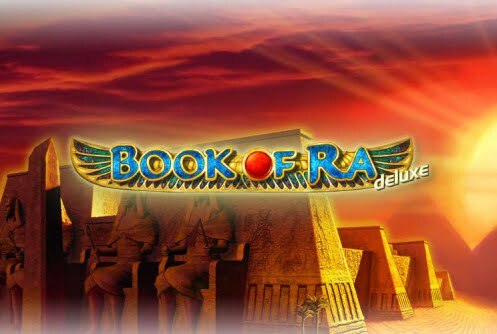 The Book of Ra Deluxe can be played for real money or for free. 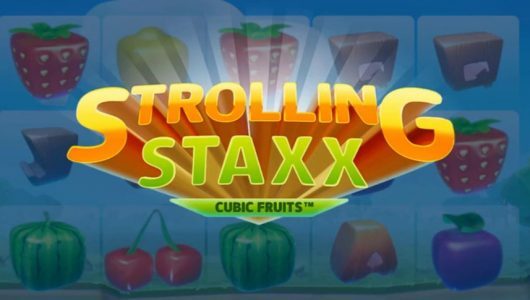 It offers a free spins bonus game with a multiplier of 2x. When I played the game it felt like I was in a land-casino. After all, Novomatic is the world’s largest producer of terrestrial games. I consider the game to be high variance since it offers huge payouts at the highest bet level. Although the game lacks the sharp animations of the NetEnt games it’s still a force to be reckoned with. The free spins bonus round steals the show. Payouts during the base can be very good but they also come with a lot of ‘dings and dongs’ (dry spins). I cannot help but think of the Mummy or even Indiana Jones. If this 3D slots does not bring out the adventurer in you believe me nothing will. The coin range is 0.4 up to 4. You can wager from as little as $£0.4 up to £$2,000 per spin. I played the game in the ‘free mode’ at a maximum bet of 200 paylines or 2,000 coins per spin. I managed a few incredible wins of which 27,000 coins was my largest payout. With a credit of 30,000 coins I experienced 13 dry spins in a row. At this bet level I was cut down to size in a jiffy. The higher the bet level the more it pays but the volatility shoots up significantly too. Before I get stuck into the free spins bonus game I just want to cover the expanding scatters quickly. To be honest this is unusual because I’m used to expanding wilds. Once the free spins bonus game is triggered the symbols on the reels turn into expanding scatters. When this happens it can pay out significantly, especially when you hit 2 or 3 scatters. The scatter icon is the Book of Ra it acts as a wild substitution as well. 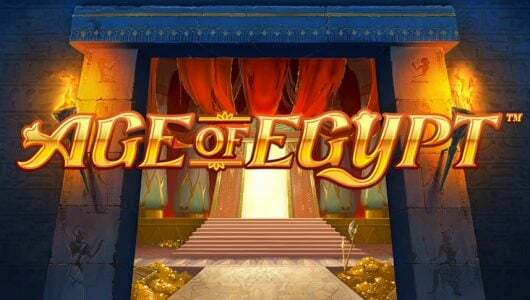 Free Spins: The free spins game is triggered when you hit 3 or more Books of Ra icons. You’ll receive 10 free spins. Before the free spins start, the Book of Ra indicates how many scatters there are on the 5 reels. When it appears it acts like a scatter and covers the entire reel. If you land 3 of these icons payouts can be as high as 3×3, even if they don’t appear on a winning payline. All I can say is that it’s a unique yet simple feature. Gamble Game: After each win, you’ll be prompted to gamble your winnings by clicking on a red or black card. I managed a win of 80 coins when I guessed two red cards and a black card correctly. I decided 3 wins in a row from the gamble game is more than enough for me. In the visual department the graphics are good and not over the top. With a max. bet of 2,000 coins per spin the game can be a high rollers dream or nightmare. If you play the top bet per spin be careful because it can gobble up an extensive bankroll in no time. If you want the maximum out of The Book of Ra Deluxe keep your bets down to a minimum. Expect loads of dry spins but if it pays out wins are huge. Then again this is a typical slots where fortune favours the brave.